Knee arthritis is a form of degenerative joint disease that affects millions of Americans. There are several alternatives to knee surgery such as injection of cartilage substitutes or steroids. Steroid injection is not favored as a viable long term treatment since the steroids actually damage local tissues over time. Certain types of knee problems including significant meniscal and ligamentous injuries may not be amenable to regenerative therapy. It is important to evaluate each individual case to assess likelihood of success with attempting regenerative therapy. CSN has developed a degenerative knee disease protocol that attempts to exploit the anti-inflammatory and healing effects of SVF (rich in mesenchymal stem cells and growth factors). The deployment (injection) protocol performed under local anesthesia is all done as an outpatient at the time of SVF harvesting and procurement. The entire cellular surgical procedure takes approximately 3 hours. Other offices offering the same autologous SVF procedure are finding similar outcomes. *SemGenex in Cali. In Japan. In the journal Cell Transplantation. The wrist, hand and fingers are very well used tools over their lifespan. Surgical procedures to help palliate symptoms of arthritis have proven ineffective for most and often worse than the condition itself. Much like the foot, the hand and wrist are made up of a number of articulating bones, connected by many ligaments. 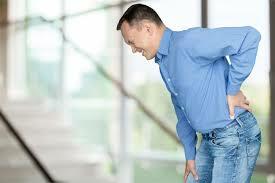 The accumulation of injuries over the years and wear and tear cause the small joints to become arthritic as we age. And as is the case for other joints, we simply don't have the number of stem cells available as we did when we were young to help in the healing process, therefore the joints continue to decline. 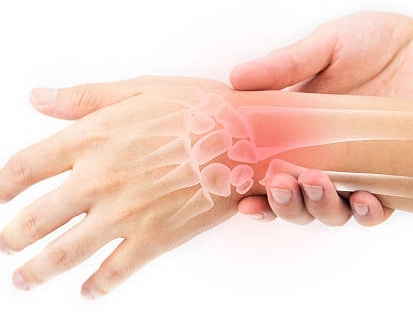 Today, a simple stem cell procedure can give the wrist and hand a concentrated injection of stem cells harvested from your fat to induce healing much like as if your wrist and hand were 12 years old again for a period of about 4 to 6 months just like in the article in this link. Foot pain usually occurs for one of three reasons: overuse, injury, or a medical condition that causes inflammation. Individuals that have never experienced foot pain may think of it as “not a big deal” and maybe even “a simple fix”. However, those who deal with foot pain almost daily can definitely say that neither of the above is true. The bones, ligaments, and tendons in the foot are all susceptible to pain. Nerve damage in the feet can even cause an intense burning sensation, numbness, or tingling. Dealing with any of these problems could make it difficult to walk or bear weight on your foot. In addition, limited feeling in the feet could result in unknown open wounds and infections from bumping, hitting, or scratching. It’s important to note that even mild foot pain can be debilitating, so treatment should be sought. The treatment one receives for foot pain depends largely on where the pain is located. Someone with heel pain may benefit from doing foot muscle stretches, wearing shoes with a good arch, and taking over-the-counter medications. Often time’s individuals with heel pain have plantar fasciitis, which is when the tissue supporting the muscles and arch of the foot are stretched. More severe cases may require physical therapy, shock-wave therapy, and/or surgery. Those having pain in the ball of their foot may be suffering from metatarsalgia, Morton’s neuroma, or sesamoiditis. Treatment for those conditions may include using shoe inserts to relieve pressure, getting a steroid injection in the foot, and resting your foot as much as possible. No matter where one is having pain in the foot, the options usually come down to either resting your feet, taking pain meds, getting steroid injections, or having surgery. However, stem cells might have something to offer as well. As previously mentioned, there are a few treatment options for plantar fasciitis, but the previously mentioned options only provide short-term relief. A better way to heal the injury and have long-lasting results is through stem cell therapy. A procedure known as “Platelet Rich Plasma Stem Cell Therapy” is becoming a common option at foot and ankle clinics throughout the United States. The first part of therapy involves drawing blood from the patient and then separating the platelets from other substances in the blood. Next, a provider will inject platelet-rich plasma into and around the area of injury. The platelets will begin promoting tissue repair by releasing growth factors that attract healing cells. Patients will need to use crutches for about 7-10 days after the surgery to avoid putting weight on the foot. A majority of patients say that pain is alleviated within just 10 days. There are a few clinics in the United States that offer stem cell therapy for arthritis as a treatment option. It’s actually a recommended method for those who have tried practically everything else, except surgery. Like any other medical procedure, the patient will first go to the clinic to see if they qualify. Once they’re cleared, the patient can go through what some clinics call “regenerative medicine therapy”. A provider will inject an amniotic allograft tissue matrix into the body, which is tissue that comes from an amniotic sac and placental tissue. The growth factors found in the injection will work to replace damaged cells in the body and lubricate one’s joints and tendons. What makes this method so unique is the fact that there is no recovery time after the treatment. This type of procedure has been done over 10,000 times in the United States and there have been no reports of adverse side effects. In addition, one research study claims that 100 percent of treatment recipients still report being pain free 4 years later. One clinic did a case study this year of a patient that came in with Achilles tendon pain and the outcome was remarkable. The 52-year-old female patient had been suffering from pain for nine months and it’d gotten significantly worse in the sixth month. She originally underwent traditional treatment methods, like massage and physical therapy, but the pain was unchanged. After doing an initial assessment, the clinic decided to inject the tendon with a combination of adipose (fat) derived stem cells and bone marrow concentrate. The adipose tissue was taken from her lower abdomen and the bone marrow came from her posterior iliac crest. The patient was discharged home with a pain score of 6 out of 10 and told to take it easy over the next month. The provider told her to only perform light exercises such as walking for now. While the patient did report being very stiff and sore in the Achilles tendon area, she did not require crutches. The patient went to her follow-up appointment one month after her procedure took place and another injection was made. When she was admitted, her pain score was 1-4 out of 10. She felt that her pain had diminished by 50 percent since the initial procedure took place. During this appointment, the tendon was injected with platelet rich plasma at the area of tendonitis and the distal insertion. When she was discharged this time around, her provider told her that she could begin slowly advancing her exercises. Just two months after her follow-up appointment, the patient reported that the swelling had completely resolved. She’d also regained complete range of motion and had had no pain in three weeks. At that point, she was able to return to doing regular activities with no restrictions. Today, the patient is enjoying Pilates, cycling, skiing, and even weight training. All of these activities had stopped when she was suffering from Achilles tendon pain, but now she’s back at it. Stem cell therapy healed this patient’s condition and significantly improved her quality of life. With the way things are going right now for stem therapy, it wouldn’t be surprising if the treatment replaced orthopedic surgery in the future. Stem therapy will eliminate the constant need for NSAIDS, which are attributed to 15,000 deaths per year, narcoticd drugs like Hydrocodone, Percocet, Oxycodone are at epidemic proportions killing over 62,000 people per year. Patients can avoid the cortisol shot, which is said to be incredibly painful, temporary, and ultimately degrades bone density and cartilage over time. The need for surgery will also decrease, which puts patients at risk for pulmonary embolism, nerve damage, blood clots, and more. When you consider all of that, stem cell therapy sounds like the right treatment. While it’s not an option for everyone, it will certainly be beneficial to many.